Our 25 years of experience proves why no one else has our expertise in the world. From your first contact with us you will see why we help our customers for life. Our experienced team of engineers will help you solve your escalator problems. 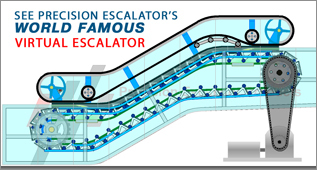 Precision manufactures Escalator, Elevator, Lift & Moving Walkway Parts for All Worldwide Makes & All Models. 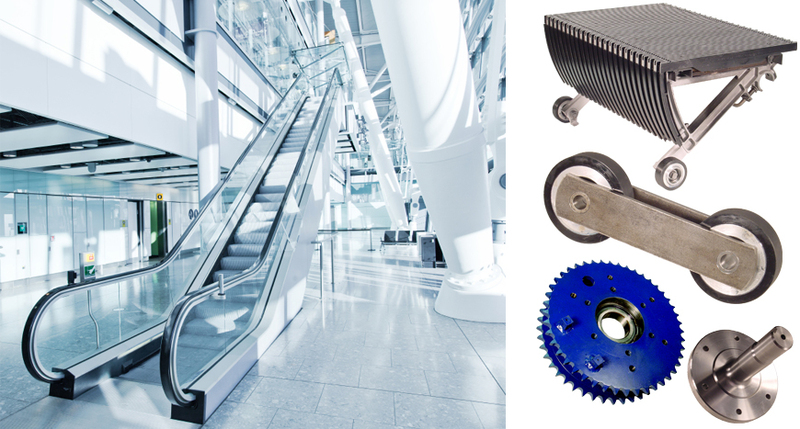 The World's leading one stop business partner for all escalator replacement parts, elevator product refurbishment projects and moving walkway components. 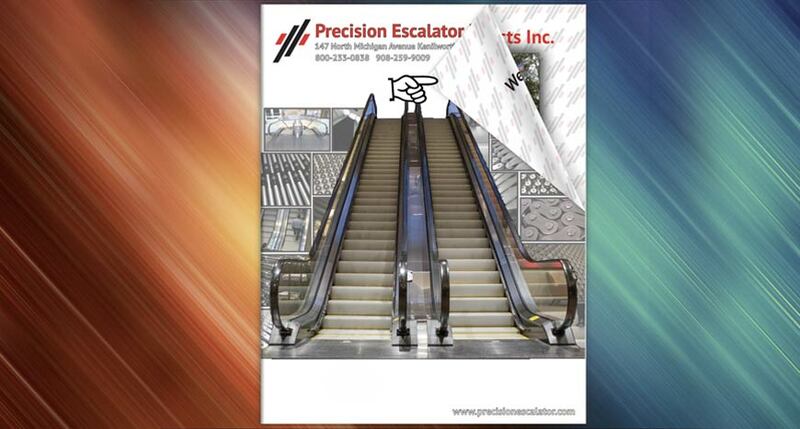 PRECISION manufactures the highest quality Escalator Parts, Elevator Products and Moving Walk Components for All Makes & All Models. We inventory the largest parts solutions selection in the industry. 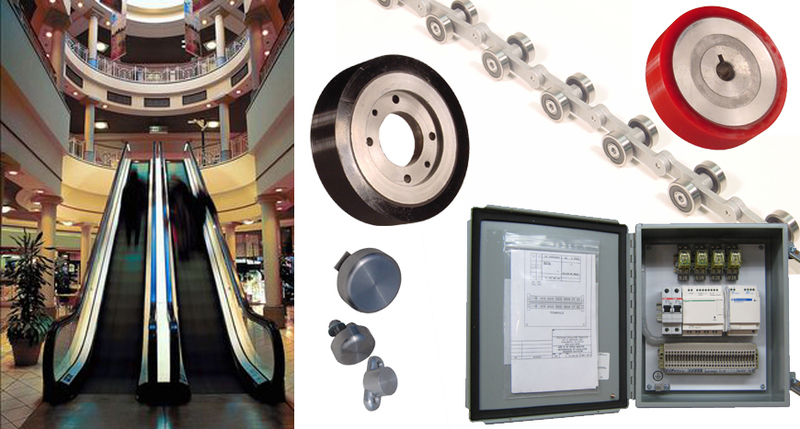 Precision Escalator buys old escalator parts. We offer replacement parts for Otis Escalators as well as many other manufacturers. 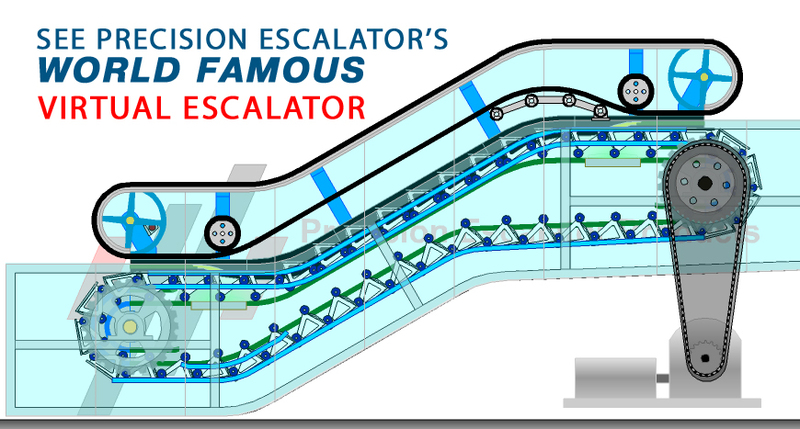 Please click here to see Precision's World Famous Virtual Escalator.